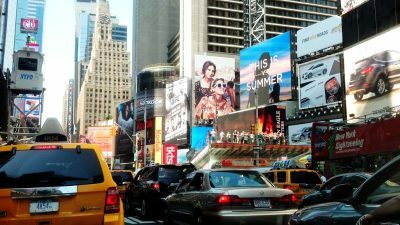 Just how effective is online marketing at converting people from free to paid users of a particular tool? And is marketing the only thing that matters? I’m the first to admit I’m a hard sell when it comes to paying for tools, even the ones I love. That’s probably why it took almost five years for me to start paying for social media sharing tool Buffer, even though I loved it from the first use. Here’s how it happened. First, a little background. I’ve always liked trying out new web tools and even used to review them regularly, so when Buffer came on the scene it was a no-brainer for me to try it. At the time, I was managing a Twitter account for a travel industry client and Buffer looked like a good replacement for the tool I was using at the time. The first email from Buffer wasn’t particularly inspiring. Since I’d signed up via Twitter, it wasn’t personalized (not unusual back then), but it did have a friendly tone and was signed by Buffer’s founder, Joel Gascoigne. Buffer nearly lost me early on with constant reminders to add new tweets to my queue (email overload, much?) but what really worked well were the new emails talking about additions to the service every couple of months. 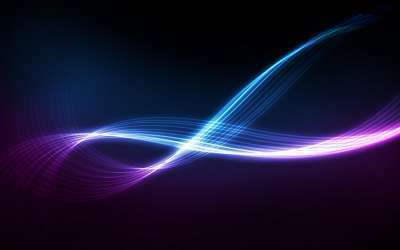 With every release, the product got better and better and it continued to perform well. It got to the point where I looked forward to emails from Buffer and opened them immediately because I knew they’d be telling me something I wanted to hear. Regular, useful communication was beginning to create the image of a company that cared about its users. 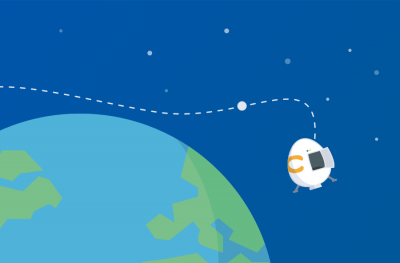 About a year after I started using Buffer, they made their Awesome plan available, with more useful features. But the timing was off, as I was coming to the end of the contract that had made me sign up for the tool. While I was using Buffer, I still wasn’t committed enough to it to pay for it. It was one among many, and Buffer still needed to do something more to get me more firmly in their corner. They did, with content marketing. At some point the Buffer blog moved from tracking product updates to providing rich, well-researched posts that actually helped me do my job of managing social media for my clients. The posts were a joy to read, full of detail and statistics which gave me something that I could use for my own work and to help my clients. And they published regularly so that there was always something new from Buffer in my newsfeed. 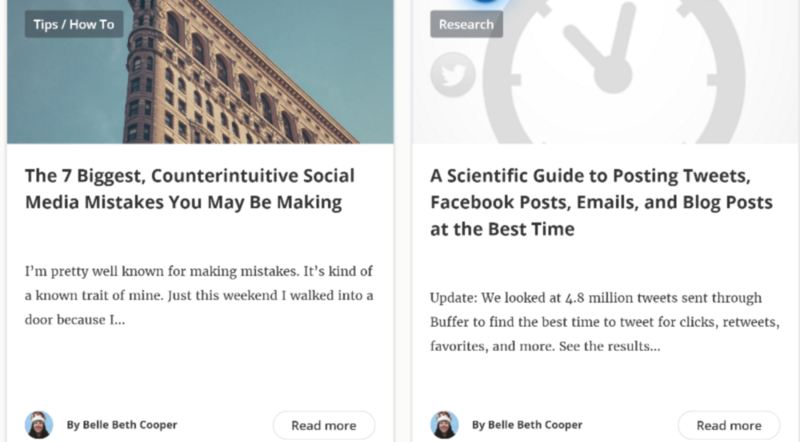 Buffer became one of my go-to sources for up to date social media tutorials and research. Buffer also published its values which not only made me want to keep using the tool; it also made me want to work there. The inside look at company culture on the Open blog was also very appealing. 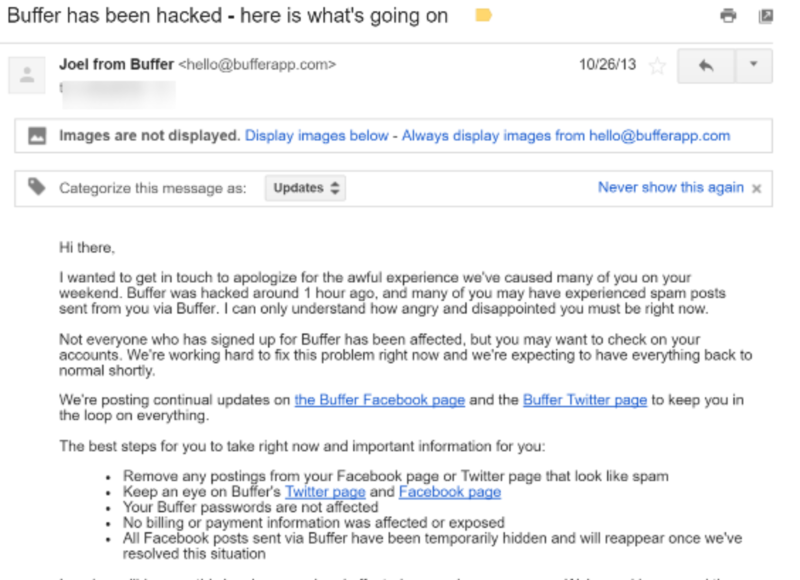 Then Buffer got hacked – something that usually sends customers screaming for the hills. But Buffer actually won customers because of how it handled the issue. 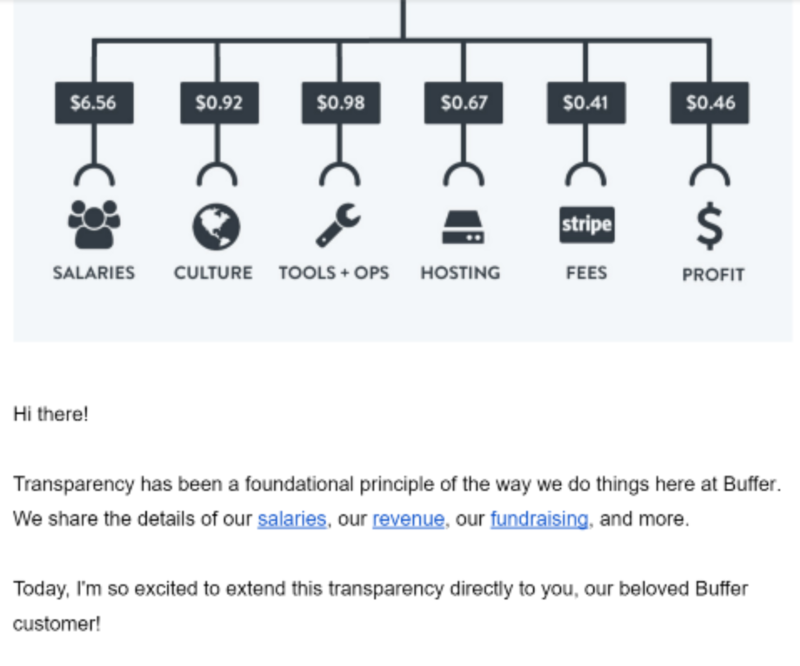 In keeping with their value of transparency, Buffer wrote to all customers about the hack, apologized and included a link to a regularly updated page where customers could find out more about their progress in resolving the hack and plugging the leak. Meanwhile, the company also provided information on what customers could do to address security from their end. Most importantly, the founders of the company handled updates and responses to customers personally. Buffer continued to up the ante with new feature additions such as Feedly integration and the ability to work with more sites (Instagram is the latest addition). That made it even more useful for people managing multiple social media accounts. Fast forward to late 2015 and Buffer had already sold me on the company’s values and a great tool. It also gave away good stuff for free, like its image sharing tool, Pablo. So what made me finally make the move to pay for the Awesome upgrade? First, Buffer introduced better analytics for paid plans, a big draw for a stats junkie like myself. I did a trial and loved it. Two, the budget allowed it. At $10 a month, Buffer isn’t expensive, but a lot of “not expensive” tools can still add up to a whole lot, so sometimes you have to choose. Having made the choice, I’m a happy customer. Buffer’s still doing all the things that sold me on becoming a paid customer over a period of nearly five years. There are plenty of stats about how often you interact with potential customers before you win them over, but the saas conversion funnel/period could be longer than you think. Don’t assume that people that don’t take up your compelling offer are lost. They might just take a lot longer to make up their minds. Even people within your target market may have their own external reasons for failing to take the desired action. Keep plugging away and you may be able to win some of them over. Regular communication with potential customers matters, but it’s not about quantity; it’s about quality. Provide high-quality content that meets people’s needs and your business will be top of mind when people decide where to spend their money. Openness and honesty can actually pay off even if you have made a mistake. People will respect you more for having the courage to admit the mistake and try to fix it. 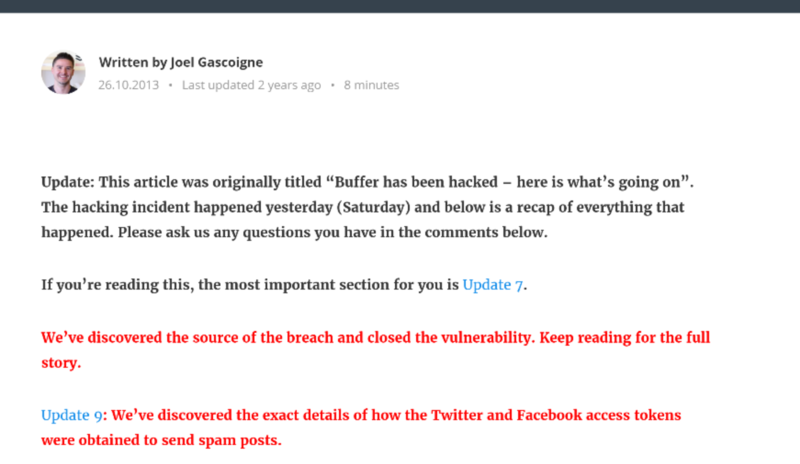 Buffer actually gained customers as a result of how it handled the hack. While you can use marketing to promote anything, it helps to have a great tool that meets a need and to let people try it out for free. Once they get hooked on using it, you’re halfway to turning them into customers. Reasonable pricing is also a factor. There are other tools I’d pay for if they had a price geared to solopreneurs. Which free tools do you pay for, if any? What made you decide they were worth paying for?